The Employee Benefit that Really Delivers. More than 1,000 Puget Sound businesses offer employer transit subsidies and 600+ of them are located in downtown Seattle. Tech, Nonprofit, Built Environment, Legal and Business and Management Consulting are the industry leaders providing these benefits. ORCA for Business has a program right for employers of all sizes. Now for a limited time, businesses new to commuter benefits may be eligible to participate in a Small Business Transit Subsidy program, that offers a 50% rebate of up to $10,000 when investing in an ORCA program. Over 80 small businesses in downtown Seattle are taking advantage of this subsidy program. If your business is interested in offering ORCA cards and you have fewer than 100 employees, you could save when you enroll in ORCA for Business. 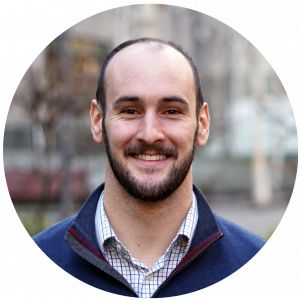 Schedule a free 15-minute phone consultation with me at 206-613-3233 or orca@commuteseattle.com. A cost-effective, comprehensive, annual transportation pass for employers. Multiple products on a single ORCA card, including monthly passes, e-purse or e-voucher. Choice allows employers to load a dollar amount or a variety of passes, including.. Learn more about who participates in ORCA Business Passport in downtown Seattle. 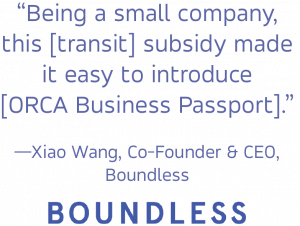 ORCA Business Passport is a cost effective, comprehensive, annual transportation pass program for employers.